We are working with experienced staff and veteran professional; they make every effort to keep the products safe from external damaging factors, by using the finest material for wrapping. Supplying from our facility in Sialkot(Pakistan), our organizations is a well-reckoned provider in the market. 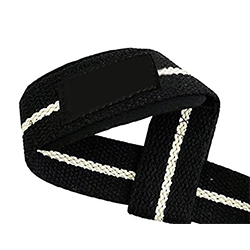 WB-301 Wrist Strap is made of the finest quality material and is available in different color options.